He was very assured of who he was, but he was actually kind of inventing himself as he went along. He was like a person who had just stepped out of a Kerouac book, and there he was, in front of your eyes, and you were reading about him at the same time you were watching him. 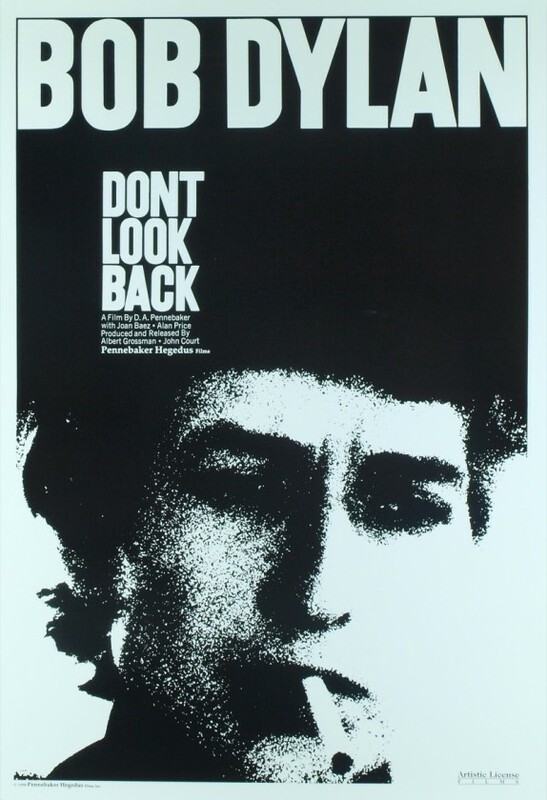 Dont Look Back is a 1967 film by D.A. Pennebaker that covers Bob Dylan’s 1965 concert tour in the United Kingdom.In 1998, the film was selected for preservation in the United States National Film Registry by the Library of Congress as being “culturally, historically, or aesthetically significant”. Wanting to make more than just a concert film, Pennebaker decided to seek out both the public and private Bob Dylan. With unobtrusive equipment and rare access to the elusive performer, he achieved a fly-on-the-wall glimpse of one of the most influential musicians of all time and redefined filmmaking along the way. …and it is funny! It opens with the much-copied cue-card rendition of Subterranean Homesick Blues, in which a sardonic-looking Mr. Dylan flips through cards hand-printed with words and phrases from the song while standing in an alley. You know the audience that subscribe to TIME Magazine, the audience of people that want to know what’s happening in the world week by week, the people that work during the day and can read it, its small, alright and it’s concise and there’s pictures in it, you know? It’s a certain class of people, its a class of people that take the magazine seriously, I mean sure I can read it, you know, I read it , I get it on the airplanes but I don’t take it seriously. If I want to find out anything, I’m not gunna read TIME magazine, I’m not gunna read Newsweek, I’m not gunna read any of these magazines, I mean cause they just got to much to lose by printing the truth. You know that. Portrait of the artist as a young man. In spring, Pennebaker’s camera follows the 23 year old Dylan from airport to hall, from hotel room to public house, from conversation to concert. Joan Baez and Donovan, among others, are on hand. It’s the period when Dylan is shifting from acoustic to electric, a transition that not all fans, including Baez, applaud. From the opening sequence of Dylan holding up words to the soundtrack’s “Subterranean Homesick Blues,” Dylan is playful and enigmatic. It’s a good film, but it is frustrating to not get to see more complete songs. Luckily we get to hear more music on the DVD/Blu-ray release from 2010. It also has a very informative commentary track. Dylan’s extended taunting of Time Magazine’s London arts and science correspondent Horace Freeland Judson who was subjected to what he believes to be a contrived tirade of abuse from Dylan. Dylan’s interrupting Alan Price’s backstage performance of “Little Things” to ask Price why he left The Animals. Dylan’s pre-concert philosophical jousting with a “science student” (Terry Ellis, who later co-founded Chrysalis Records). Grossman negotiating with former Bebop Dance band leader and music agent, Tito Burns. Dylan singing “Only a Pawn in Their Game” on July 6, 1963 at a Voters’ Registration Rally in Greenwood, Mississippi (shot by artist and experimental filmmaker Ed Emshwiller). A selection of songs from Dylan’s Royal Albert Hall performance. Dylan regaling the room with “It’s All Over Now, Baby Blue” after proclaiming “Hey, that’s pretty GOOD, man!” at the completion of Donovan’s performance of “To Sing for You”. Dylan’s romance with Baez had pretty much run its course by the time of the tour, and the film candidly captures what amounts to their breakup. An essential film for any Dylan fan! The two very young London chicks, in ecstacy,there in ’65, standing outside Bob’s hotel,looking up and seeing Dylan at his hotel window,with the taller chick shouting, “OOOOOOH, pinch me, pinch me, me dream’s come true” Unforgettable scene. 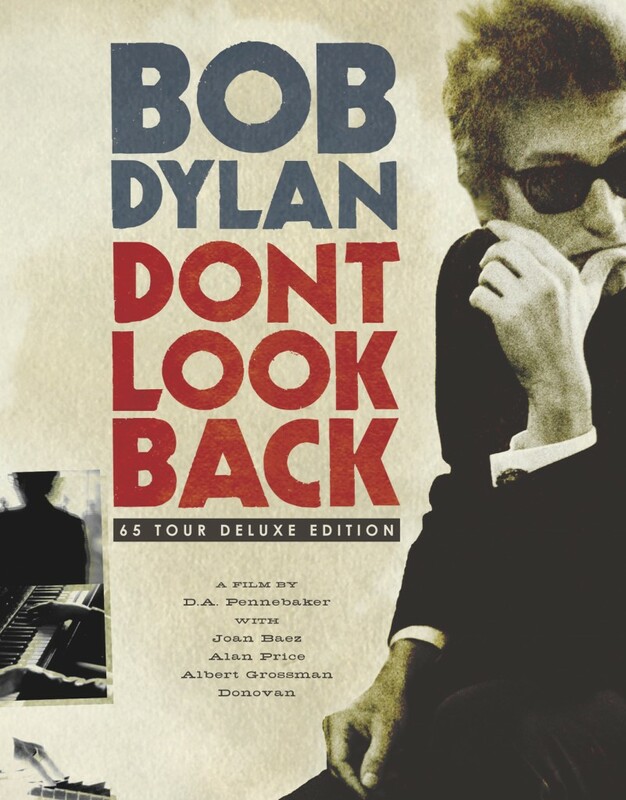 Incidentally, Don’t Look Back premiered at the Presidio Theater in San Francisco. I attended the premiere as a fifteen year old mega-fan with my mother since anyone under eighteen wishing the see the film had to accompanied by an adult or guardian. Those were the days. I was completely blown away, never the same since. Cheers.